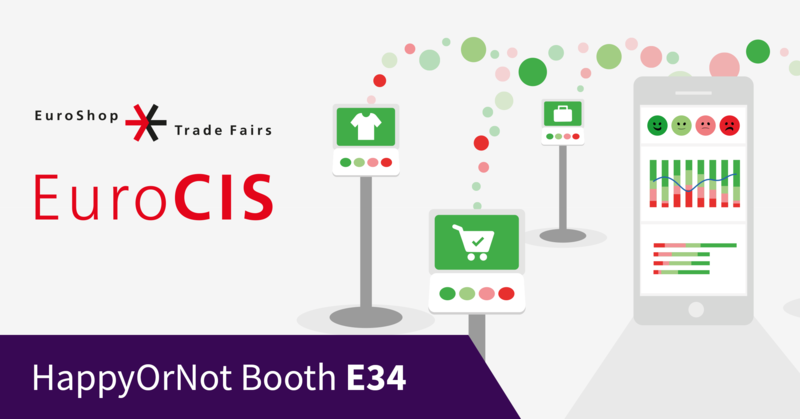 HappyOrNot, the recognized market leader in instant data feedback management systems, is happy to announce that its globally recognized Smiley feedback management system will be exhibiting at EuroCIS 2019: The leading trade fair for retail technology, in Düsseldorf, Germany, Feb. 19-21, at Hall 9, Stand E34. At the event, HappyOrNot will be launching the company’s Reporting App, enabling organizations that use its technology (such as, Levi’s Strauss Stadium – home of the San Francisco 49ers, and Microsoft) to monitor and view analytic data continuously on mobile devices. HappyOrNot’s Mobile Reporting App enables retail stores and other daily operational applications to pinpoint and react quickly to service declines, and then make immediate adjustments to positively impact overall performance. The Reporting App, which is compatible with both iOS and Android mobile devices, will also have a real-time alert notification feature available through email. A feature enhancement of Real Time Alerts pushing to customers’ mobile devices will be available later in the first quarter 2019. “This new Mobile Reporting App with real-time alert notifications will add great value to our customers, as they will have instant and actionable data right at their fingertips,” said Heikki Väänänen, HappyOrNot CEO and Founder.